Post-traumatic stress disorder (PTSD) has received considerable attention over the last few years, yet there is still ongoing debate concerning its causes and possible treatment. 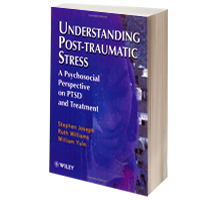 Students, practitioners and researchers in health psychology, clinical psychology, social work, psychiatry, and counselling will appreciate this interesting synthesis of concepts and knowledge in post-traumatic stress studies. Offering an innovative contribution to the field, the authors show that post-traumatic stress reactions are not caused by the traumatic event alone, but that psychosocial factors play a vital part for individual outcomes. An understanding of the role of these psychosocial factors in the development of PTSD will enable clinicians to improve therapeutic intervention. This book provides that understanding by drawing on existing theories to present an integrative model of psychosocial adaptation to trauma. This model can then be applied to understanding and treating reactions to a broad range of stressful events. Case studies throughout the book help illustrate the theoretical issues as well as the treatment aspects.